Do you enjoy choosing wallpaper, curtains and carpets? Do you have a flair for design? If so, you should consider studying interior design. 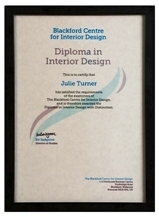 As well as explaining how to design your own home, we also help you become a professional interior designer. Our interior design course gives you the right information exactly when you need it. Constructed by interior design experts, the course distils years of experience, covering every kind of house. 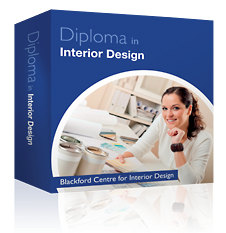 By taking this course, your success in interior design is assured. And you're guaranteed a perfect result every time. 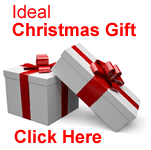 If you want to give your home that designer look, the course is ideal. By the time you've completed the course, your family and friends will be amazed at the transformation. Often it's the small details that count. We can show you the secrets of selecting the right fabrics. We provide clear advice of how to tackle each room, and offer straightforward instructions that will make sure you get it right every time. 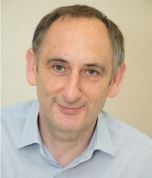 When you study with us you'll access all of the materials online. As an interior designer you will work on modern designs like this. People often ask us how to get work as an interior designer. It isn't easy, because interior design is a closed world. Few people know where to start. But once you understand the principles, you'll find it easy to design homes. You'll learn how to present a design, how to find clients, and what to charge. That's why interior design courses are so useful. They can tell you all you need to know about professional interior design. Having a client approve your first design is a real thrill. And the only thing that's even better, is the pleasure of earning a living from it. Imagine getting paid for doing what you enjoy! Interior design can be your main work, or it can provide a great second income. You can work from home, either part or full time. And you get to meet interesting people. Wouldn't you love to turn people's houses into stylish homes? Wouldn't you enjoy having tea in the garden with the excited owners, showing them how to make their dreams come true? How do I present my designs? What sort of people buy interior design? How do I do drawings? What about getting curtains made? When you successfully complete the course, you'll receive your Diploma, which serves to recognize your skills and knowledge. The Diploma course will enable you to create a beautiful home - and show you how to find work and get clients. When you complete the Diploma course, we also send information about your success to your local newspapers (if you want us to). It's a good way of telling potential clients that you're available. And qualified. We'll also put your name on our list of Approved Interior Designers. And you can get free logos to put on your website and your letterhead. Will the diploma course help me get work? Yes. Throughout the course we explore how professionals find work and handle clients. So you'll be fully prepared by the time you finish the course. We also formally devote several modules in the course exclusively to finding a job or getting clients. Your tutor will also give you extra personal advice if you're uncertain about any of this. But what if I just want to learn about interior design for its own sake? That's fine. You'll be very welcome on the course. Because it's home study, you're in charge. You can take as long as you want. Unlike other colleges, we set no time limit. Many students take around 18 months to earn their Diploma. Register online. It's fast and easy, and we use secure state-of-the-art SSL technology. Also, we never get to see your credit card - that information goes straight to our bank. But if you want, you can also register by mail. Register on the course and you can look forward to a fantastic income and lifestyle while making other people's homes so much more elegant and unique.